Welcome to guidebook, a website dedicated to preserving and showcasing Graphical User Interfaces, as well as various materials related to them. Coming after Jaguar (Mac OS X 10.2), Panther was supposed to be designated Mac OS X Version 11, but Apple eventually settled on 10.3. A CD picture with version 11 label was available for a while on Apple’s public relation subsite. The closest you can get to running Mac OS on Intel machines without emulation. 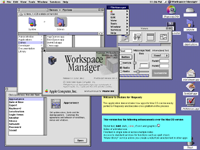 Rhapsody is a direct descendant of NeXTSTEP/OPENSTEP, using an interface very similar to that of Macintosh System. Unfortunately, DR2 is the last issue for non-PPC machines (on Macintoshes, Rhapsody evolved into Mac OS X). 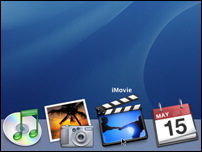 The infamous Dock in Mac OS X is a feature that you can either love or hate. Having its roots in NeXTSTEP, Dock features much more eye candy, while trying to combine the functions of both application launcher and switcher. 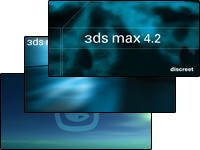 For one of the most popular 3D modelling and rendering applications, 3ds max’s (or: 3D Studio Max’s) splash screens seem very insipid and uninspiring, maybe with one small exception. Find out which one. Copyright © 2002-2006 Marcin Wichary.